YouTube has already employed a number of strategies to suppress content its owners have branded "conspiratorial", "hateful" or otherwise contrary to the company's Silicon Valley value system - including demonetizing videos and deplatforming controversial content creators like InfoWars. Yet, criticisms about YouTube being a breeding ground for these non-mainstream, Overton-window-expanding ideas have persisted. Now, the company is trying something that could potentially harm the company's treasured view-hours metric: Tweaking its algorithm to stop users from being ushered into conspiratorial "rabbit holes" on everything from flat earthers, to the 9/11 truther movement, to purveyors of miracle cures. According to the Daily Beast, the streaming video website is tweaking its recommendations algorithm to overlook content that "comes close" to violating - but doesn't explicitly violate - YouTube's "community guidelines." The company estimates that this will impact less than 1% of all videos posted on the site. To be clear, these videos will still appear on YouTube, and they can still be displayed in search results. The only thing that will change, according to the company, is their placement in the recommendations bar or queue. This could be a huge blow to Flat Earthers and others, who count YouTube as their biggest recruitment tool. But then again, that's the whole point: YouTube said the policy does an adequate job of balancing free speech with the public interest. 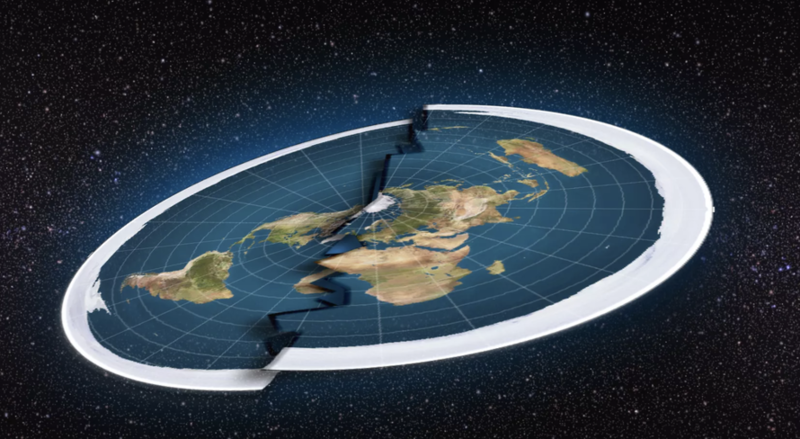 However, there's at least one group that disagrees: The Flat Earth Society. The Flat Earth Society condemned YouTube's decision. "While it's unfortunate that this will no doubt affect some of the most prominent Flat Earth content creators, the Flat Earth Society has been prepared for years. Any social network can pull the rug from under your feet if it decides that your content is no longer welcome - which is why we've never relied on these businesses too much," the group told The Daily Beast. "Who knows - perhaps it's time to start looking into a video sharing service of our own." But don't worry: We're sure YouTube's latest crackdown won't arbitrarily and unintentionally punish conservative voices and other content creators falsely labeled as "nazis" and "conspiracy theorists".